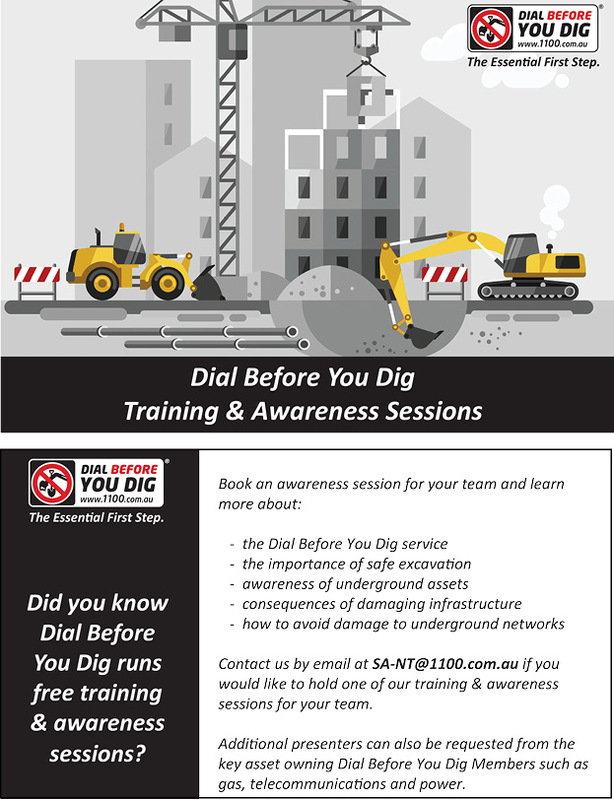 Dial Before You Dig provides free Awareness Presentations on the Dial Before You Dig service and safe excavation practices. Additional presenters can also be requested from the key asset owning Dial Before You Dig Members such as gas, telecommunications and power. Click here to Request for an Awareness Presentation. Alternatively, for more information please contact Bruce Coleman on (08) 7213 1122 or 0419 912 282.